In October 2010, a spokesman of the Jamaat Ul Sahih Al Islam, Kerala sent to three Ahmadi scholars, a bunch of questions based on the Holy Qur’an, the Ahadith of the Holy Prophet Muhammad (sa) and on the official Ahmadiyya literature. Deafening silence was the response. Later, the same was published as a public notice, entitled “Will the Ahmadi Maulanas respond?”. Once again, those who claim to be the disciples of that great Divine Reformer refused to join the debate. Do the Ahmadis hold the belief that a Mujaddid will appear in every century? If yes, is it not a topical issue in every age? Can we ignore the Fifteenth Century from this wider debate? Ahmadi Maulanas point to the traditions of the Holy Prophet (sa) when they propagate their message among other Muslim brothers. What do you say about those traditions and their relevance in the new century? Do not the Ahmadis hold the belief that the Mujaddid of the Fourteenth Century was the Imam Mahdi as per the prophecy of the Holy Prophet Muhammad (sa)? Was it on this basis that they recognized and accepted Hadhrat Mirza Ghulam Ahmad (as) of Qadian (1835-1908) as the Mujaddid of the previous century? In both speeches and literature, Ahmadis have raised strong arguments in the past pointing out that the chain of prophethood will not end and that the door of revelations will always be open. Many people joined Ahmadiyyat in Kerala after reading Ahmadiyya literature including Thabligh-e- Hidayat in Malayalam, entitled SANMARGA DARSHINI and the great works of the late Maulana B. Abdullah Sahib HA (ra) such as An Nubuwwat fil Qur’an and An Nubuwwat fil Islam which powerfully articulate the cause of divine revelations and prophethood in future as well. Are you now suggesting that these people should ignore the new century? Can you now say that the door has been closed in the Fifteenth Century? By selecting Hadhrat Adam (as), Allah, the Most High says: “I am about to place a Khalifa in the earth” (2:31). 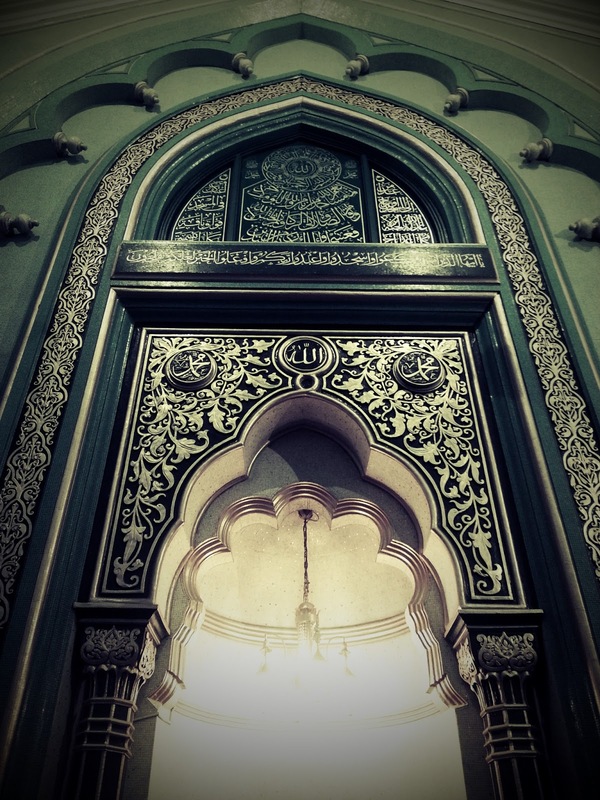 Can a Divinely-appointed Khalifa and the man-elected Khalifa be on the same pedestal? Ahmadis now believe that since Ahmadiyya Khilafat is in place, nobody can come in a new century or even till the Day of Judgement. If the elected leadership is indeed the Second Manifestation of Divine Power, why did Ahmadis gather together and conducted prayers for the descent of Second Manifestation of Divine Power during the Khilafat of Hadhrat Maulvi Hakkim Nuruddin Sahib (ra) (1908-1914)? Did the Holy Prophet Muhammad (sa) ever say that Imam Mahdi of the Fourteenth Century will be the last Mujaddid or that there shall be no Mujaddid after him? Did Hadhrat Ahmad (as) ever say that the Second Manifestation of Divine Power will preclude the coming of Mujaddidin in future? Why did the Promised Massih (as) say that Mujaddidiyat is the “permanent institution” of Islamic Khilafat till the Day of Judgement? 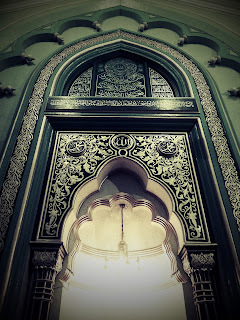 If the elected leadership is the only form of divine favour on the Community till the Day of Judgement, why did the Promised Massih (as) instruct the community in Al Wassiyat to remain united under an elected ‘Khilafat’ till the arrival of someone who is a recipient of divine revelations and stand up with the help of Roohul Qudouss? Why did you, then, propagate till recently that it is essential that a Mujaddid ought to come in every century as per the prophecy of the Holy Prophet Muhammad (sa)? Do you consider that the existing Ahmadiyya Khilafat is the Second Manifestation of Divine Power? Can the Khilafat that propagates utter falsehood- that there are 80 million Ahmadis in India and over 200 million in the world over- be anywhere near to the Majesty of the Truthful Lord? Can it even aspire to be the Second Manifestation of Divine Power when it is drowned in a web of lies so embarrassing that the so called true statistics had to be erased and removed from the public domain? Allah appoints His Khalifa or Mujaddid as the spiritual Commander of the Muslims. Once such an appointment is made, who presides over the spiritual realm among the believers- a man-elected Khalifa or a divinely-appointed Mujaddid? The issue can no longer be put under the carpet. Ignoring or evading the issue will not brush it away. If the current Ahmadiyya Khilafat is indeed based on the precept of prophethood enjoying divine pleasure and on a higher pedestal, then, why is it that Allah, the Most High has deserted the present Khalifa Mirza Masroor Ahmad Sahib and deprived him of divine revelations? Why is it that the “spiritual Commander” Khalifa is unable to respond from a spiritual perspective to the claims of Hadhrat Munir Ahmad Azim Sahib (atba) of Mauritius as the Mujaddid of the Fifteenth century, Muhyiuddin, Khalifathullah, Massih Maoud and Amir’ul Mu’mineen? To read the Notice in Malayalam, click here. 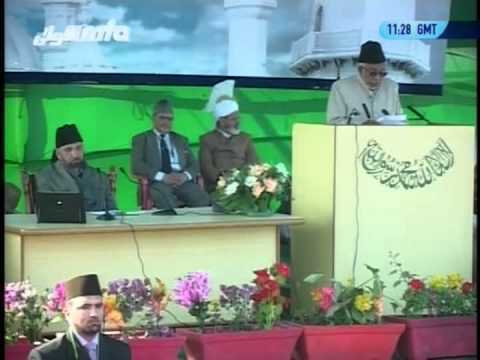 In his Friday Sermon of May 20, 2011, Hadhrat Khalifathullah Munir Ahmad Azim Sahib of Mauritius spoke at length about the question of gender equality in the social order. Based on his deep insight, the Khalifathullah rejects the western notion that Islamic veil seeks to seclude women at the cost of her individual freedom and spiritual identity. He explained the profound moral precepts of Islam that seek to promote family values and maintain a complex balance in gender relations in society- while restraining unhindered mixing of men and women, it does promote healthy interactions across the gender divide by observing the Islamic norms. He calls for abundant caution in the pursuit of addressing “any weakness (or) immoderation in the system” and asserts that the system is essentially rooted on the principles of “justice and equity, balance and proportion”. Gender relations and women’s space, rights and status in Islam have been a perennial source of debate in the recent times. In a series of sermons in May 2011, Hadhrat Khalifatullah Munir Ahmad Azim Sahib has now reflected on various aspects of this wide-ranging issue. Reproduced below are extracts from the Friday Sermon of May 20, 2011. Thus, men and women are quite equal to each other in their origin, their abode as well as in their place of return and are as such entitled to similar and equal rights. Islam gave her the right to life, to honour, and to property like men. She is an honourable being and it is not permissible for anyone to find fault with her or backbite her. No one is permitted to spy on her or hold her in contempt due to her functions as a woman. These are the rights that both men and women enjoy, there being no differentiation against either of them. So, none can deny the fact that as human beings, man and woman are equal. Both make up the human race together as its equal constituent parts. Both are equal partners in building up community life, creating and bringing about civilisation, and thus serving humanity. Both have been endowed with hearts, brain and reasoning power and both possess feelings, desires and the other human instincts. Both stand in need of mental and intellectual training and education so that they may duly contribute to the happiness and welfare of society. A list of various "Renovators" who have appeared during the past fourteen hundred years is given below. These mujaddids were the most outstanding saints and scholars of their time and did much to reform the religion of Islam, of their day. In this list, only one Mujaddid is given for each century. Many Muslims, however, recognize more than one Mujaddid for some centuries. "Verily, God shall raise for this community, at the beginning of every century, one who will renovate for it its religion". Many a venerable Muslim saints who lived among the members of the Community since the advent of Prophet Muhammad (sa) either declared themselves to be the Mujaddid of their respective age or else had honored some other sage with this appellation. And the Muslims have, by consensus revered, them as such. For the benefit of our readers, we are providing below the following information on the question of Mujaddidiyat in Islam available at the official website of the Ahmadiyya Muslim Community. 1) Ahmadiyya Jamaat established true Islamic Khilafat for the first time in over a millennium after the departure of the rightly-guided Khalifas of early Islam. 2) The current Khalifa is the Imam of the Age and appointed by none other than Allah Himself. 3) No one on the face of earth will get the Divine favour of a spiritual station above that of the Ahmadiyya Khalifa. As a divinely-assured religion, Islam challenges its opponents to the battle ground of proof and evidence in favour of beliefs that they claim to uphold. Like wise, the mystical halo of the Khalifa can be assessed on the altar of Islamic spirituality and we can analyse how far the halo remains behind after a critical examination on the basis of Qur’anic doctrine. As we have noted in the previous installment of this essay [To access that part, click here), the idea that Ahmadiyyat restored Islamic Khilafat after a millennium is sheer nonsense, if we go by the Divine plan for Islam and the Holy Prophet’ prophecies on the issue. If you have any respect left for Promised Massih (as), you cannot argue the case that Islam failed to offer a permanent Khilafat to the Muslim Ummah or that Allah failed to raise His Khulafa in every age in the service of His chosen faith. This kind of a claim would completely contradict his belief and impassioned arguments on the subject. More significantly, such a world view depicts Islam poorly in the company of other great faiths: what is so special about Islam if it cannot produce living testimonials in favour of its majesty and grandeur in every age? 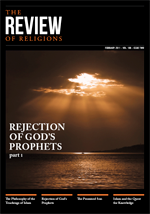 In the April 2011 issue of the Review of Religions, Harris Zafar of USA has written an editorial article: Demystifying ‘Caliphate’. The article is an eloquent argument in favour of looking at Khilafat as a spiritual phenomenon as against the tendency to look at the whole issue from a political, state-centric, power-oriented prism. According to Mr. Zafar, the finest example of Islamic Khilafat was in the early era when the rightly guided Khalifas presided over the Muslim Community for a period of 30 years after the death of the Holy Prophet Muhammad (sa). He argues that spirituality was lost for over a millennium from the Islamic world only to be restored back with the establishment of the Ahmadiyya Khilafat. And he considers that the current Khalifa of the Ahmadiyya Community is “God- appointed”. Mr. Zafar’s argument is, however, riddled with a major lacuna: in the pursuit of demystifying Islamic Khilafat, he ended up reducing its profound spiritual connotations and mystifying the Ahmadiyya Khilafat. He considers only the rightly-guided Khalifas in the early Islam and the establishment of Khilafat in the Ahmadiyya Community as examples of the spiritual, real Khilafat. In other words, he has reduced Islamic Khilafat to the system of elected representatives presiding over the Community. Thus, he indirectly ends up arguing that in the more than 1400- year old history of Islam, the real Islam was in place for a mere period of 150 years or less if we combine the period of early Islamic Khilafat and the Ahmadiyya Khilafat. In his Friday Sermon of May 06, 2011, Hadhrat Khalifathullah Munir Ahmad Azim Sahib narrated his encounter with the Indian godman Satya Sai Baba at his den in Puttaparthy in 2005. The Khalifathullah explained how his family and he himself had to escape from mortal danger from the place under extraordinary circumstances- the situation emerging in the backdrop of his daring refusal to condone the worship of the godman as God himself, as others in the place were doing. The criminal proclivity of the men surrounding the Sai Baba and their history of criminally assaulting inconvenient people is now independently confirmed by the distinguished Indian scientist Dr. Pushpa M. Bhargawa in an article published in the widely-respected national newspaper The Hindu Daily, May 15, 2011. Leading Malayalam Daily, Madhyamam, published an article on the Divine Manifestion in Mauritus and the Kerala disciples of the new Prophet of Allah on May 15, 2011. In the Qadiani sect of the Ahmadiyya Jamaat, the appearance of a new claimant to Prophethood has become a controversy. Munir Ahmad Azim of Mauritius is the one who claims that he is a Messenger of Allah and the Reformer of the Fifteenth Century. Through his website, he has proclaimed that he is a recipient of divine revelations in English, French, German, Arabic and other languages and that the revelations contain mainly warnings against the guilty ones of the age. Many Indian and Pakistani Ahmadis have joined the fold of Jamaat Ul Sahih Al Islam founded by Azim. In Kerala also, its local branches have been established. 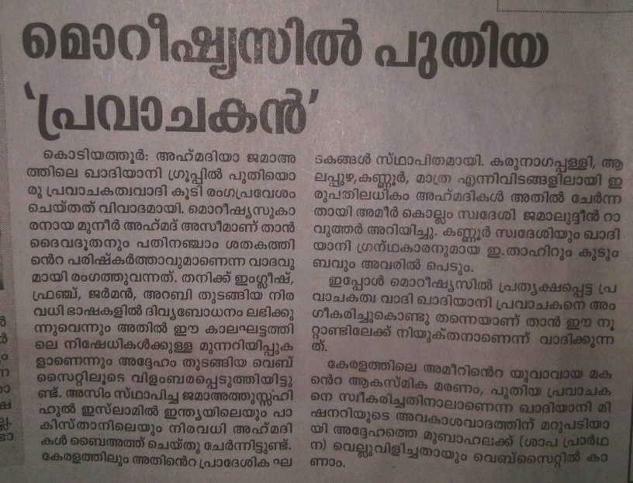 Amir Jamaluddin Raother (of Kollam) informs that more than 20 Ahmadis from Karunagappally, Alappuzha, Kannur and Mathra have become members in the new movement. Qadiani writer E. Tahir (of Kannur) and his family are among them. The current Divine Manifestation in Mauritius recognizes the Qadiani Prophet and claims that he is sent for this Century. As a response to the claim of a Qadiani missionary that the death of the young son of the Kerala Amir is due to accepting the new Prophet, a Mubahala challenge has been issued against the missionary, according to the information available at the website. [This is the fourth article in the series on "Kerala Ahmadis and the New Mujaddid", critically examining the responses of Kerala Ahmadi leadership towards the new Mujaddid Hadhrat Munir Ahmad Azim Sahib (atba) of Mauritius and his disciples in India, from among the Kerala Ahmadis who joined the Divine Manifestation]. In a recent opinion piece published in a major newspaper, Ifthikar Ahmed Sahib, an Ahmadi Professor in Kerala, underscored the need for giving space to dissenting ideas and alternative perspectives. He states: “The core aspect for all the material and spiritual ideologies is to look at dissenting perspectives with due respect and to deal with differences of opinions by engaging in productive dialogue. And the mental broadness to assimilate diverging opinions is precisely the corner stone of any democratic polity”. The Professor, then, went on to illustrate his point with reference to the decline of liberal values in Kerala society. Is the Ahmadiyya Community an exception to this rule? Does their practice match up to what they preach? Do they show tolerance and a desire to engage with a diverging perspective from theirs? Or do they betray anger and hatred instead? Mujaddidiyat: Three Ahmadis, Three Views! [This article is the third in the series on Kerala Ahmadis and the New Mujaddid, critically examining the response of Kerala Ahmadiyya leadership to the coming of a Mujaddid in the new Century and the establishment of the Jamaat Ul Sahih Al Islam, Kerala in 2010. The previous installments were published here on May 14 & 15, 2011]. The senior leadership of the Ahmadiyya Jamaat has spoken. The Naib Nazir A’la Maulana Muhammad Umar Sahib is convinced that Ahmadiyya Khilafat is the permanent institution till the Day of Judgement. Man elected/ selected Khulafa may have erred on the doctrine and practice of Islam in the past. But the Ahmadiyya Khulafa are infallible human beings, incapable of delivering injustice in administrative matters nor can they move away from Sahih Al Islam through their pronouncements. All evidences to the contrary should be buried and ignored! 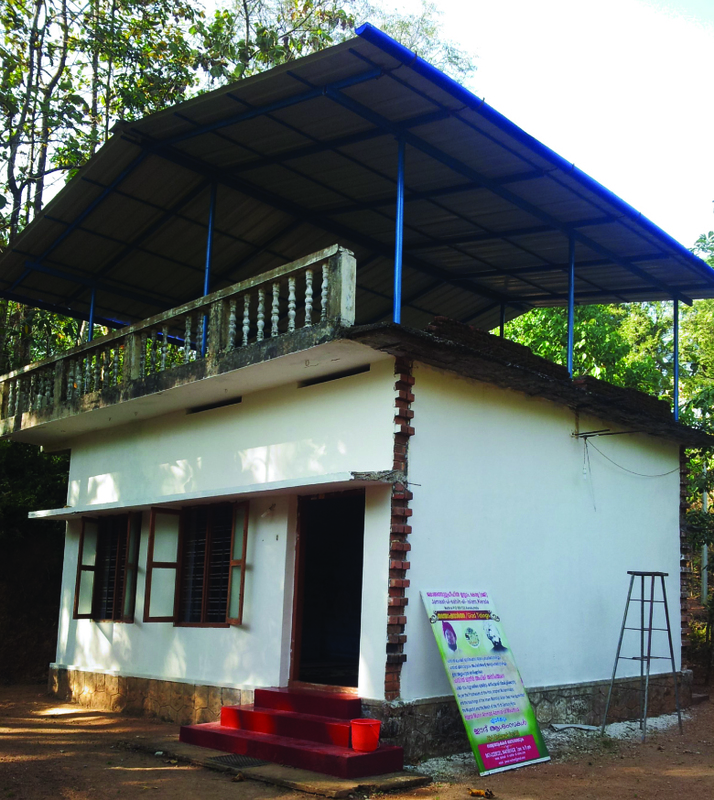 [This article is the second part of the series on 'Kerala Ahmadis and the New Mujaddid'. The first part was published yesterday, May 14, 2011 and can be accessed here. The series of articles analyses the strategies deployed by the Ahmadiyya leadership to put out the Light of Allah in the form of the new Mujaddid in Mauritius and his disciples in Kerala]. 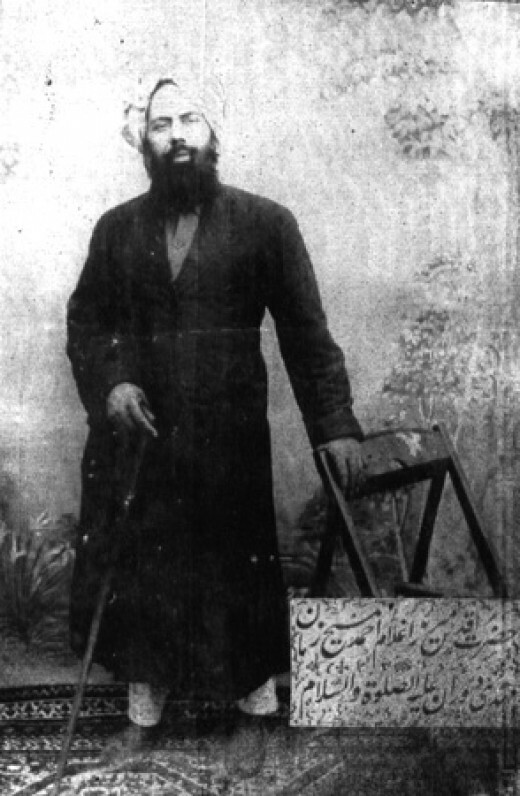 Maulana Muhammad Umar Sahib is currently the Naib Nazir A’la, Sadr Anjuman Ahmadiyya, Qadian. He is one of the leading scholars of the Indian Ahmadiyya Jamaat and among the first to officially respond to the coming of a Mujaddid in our times. Soon after the Jamaat Ul Sahih Al Islam was formed and legally registered as an organization in Kerala, he wrote an article entitled “Khilafat and Mujaddidiyat” in the December 2010 issue of Sathyadoothan, the official Ahmadiyya Journal. In spite of his profound learning and remarkable scholarship, the Maulana Sahib has come up with a deeply disturbing argument. In the editorial abstract of the article, it is written: “The coming of Mujaddidin is irrelevant because the Khilafat system established by the Mahdi Massih is thriving”. (Sathyadoothan, p.13). Jamaat Ul Sahih Al Islam, which was established in March 2008 by the Mujaddid of the new Century Hadhrat Munir Ahmad Azim Sahib of Mauritius, crossed the Indian Ocean and the Arabian Sea and reached the shores of Kerala, India in September –October 2010. Supporting and endorsing an Elect of Allah is the binding duty and responsibility of believers who live in the time of a Divine Reformer. Thus Jamaluddin Sahib of Mathra was the first person in India to have the honour of accepting and becoming a disciple of the new Massih of Allah. Strangely, however, the Ahmadi Maulanas are standing up against the great Divine favour on the Community. That till recently Jamaluddin Sahib of Mathra was an honourable man in the Jamaat. More than 50 people took Bai’at and were initiated into the Jamaat through him. 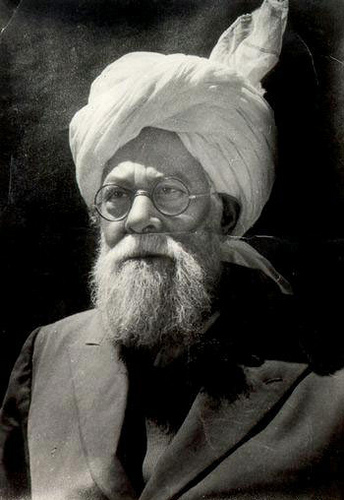 He was instrumental in the formation of the Ahmadiyya Jamaat in two places in South Kerala: Mathra and Trivandrum, the capital city of the State. And some of the Ahmadis who took Bai’at through him later went on to form another branch of the Jamaat in the neighbouring State of Tamil Nadu as well. These are uncommon achievements by the record and practice of the Kerala Ahmadiyya Jamaat today. It would not have been possible but for the combination of special blessings of Allah and sincere efforts of the people concerned. Caught up in the cauldron of jealousy and hubris, can the leadership be expected to have the humility to acknowledge contributions or care about higher notions of gratefulness? 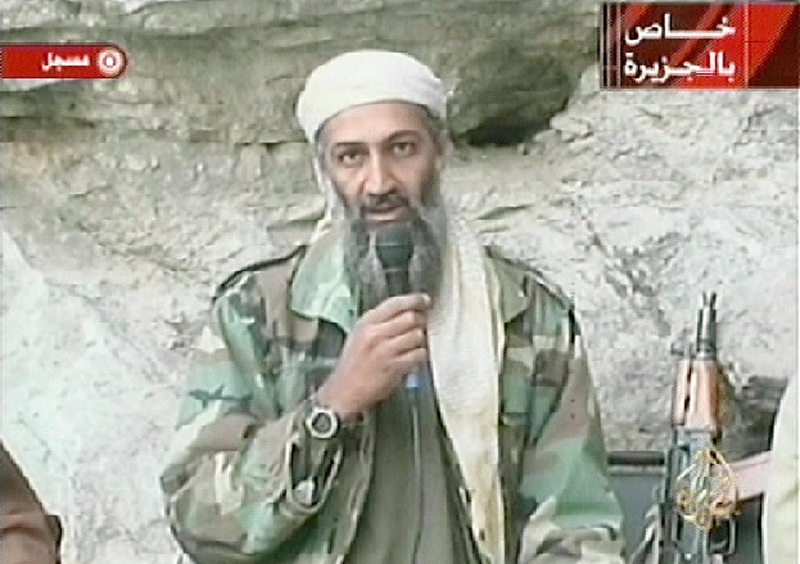 Usama ibn Laden, the slain chief of the Al Qaeda militant group, sought to project himself as championing the “Muslim” cause, by attacking imperial domains, promoting suicide bombings and indiscriminate killings. He thus 'elevated' “Fasad” into the realm of “Jihad” and sought to subtly project himself as the “blood-thirsty” Mahdi many common Muslims seem to expect from the Prophetic traditions for our times. By waging ‘Jihad’ against the US and their imperial allies, he was clearly taking on the great Satan (Dajjal) mentioned in the prophecies! How long can this subterfuge work? How long will Allah allow the falsehood to roam free? Reflecting on the recent events, the Khalifatullah Hadhrat Munir Ahmad Azim Sahib (atba) of Mauritius states: “falsehood is bound to be washed away and truth rendered clear”. Allah, the Most High has always been raising His Messengers with a single message: to preach the Unity of God. They come to confront the people’s practices of worshipping false gods- be it images, human beings or nature. Like all messengers before and after them, Hadhrat Ibrahim (as), Moses (as), Jesus (as) and the Holy Prophet of Islam (sa) have preached their non-negotiable stand on the Unity of God against all odds and that too in the den of polytheistic practices of their times! It is spiritually appealing to think that in these times when the Unity of God/Tawheed doctrine is being challenged and undermined through polytheistic practices among the human beings of all religions and fractional groupings in the world, God has raised someone as a renewer of Faiths, the true spirituality of Oneness of God in all traditions of people's beliefs. 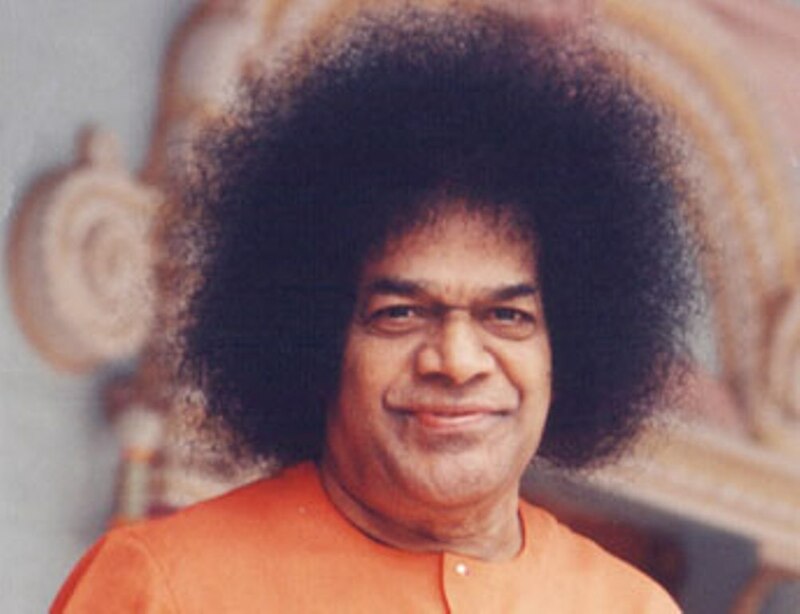 "Sathya Sai Baba", the Indian godman who died recently, had hundreds of thousands of people who looked upon him as the personification of God Himself. While speaking on the larger theme of the eventual fall of criminals irrespective of their religious identity or sectarian orientation, the Khalifathullah Hadhrat Munir Ahmad Azim Sahib (atba) of Mauriritus briefly touched upon the story of his encounter with the Sai Baba in 2005 at his place - Puttaparthy, India. Like you are all aware, the Sai Baba died on Sunday 24 April 2011 at the age of 84. Lots of people used to take him as god on earth and there are many of his adherents in Mauritius, whom I know personally, who pray him. There is a quote which says: When you do not believe in one God, then you shall believe in a million gods. By the grace of Allah, here in Mauritius, the devotees of the Sai Baba invite me in their several conferences to address them, and thus, it is on these occasions that I seize the opportunity to talk on the unity of Allah. In 2005, I was invited in Puttaparthy in India to participate in an inter-faith conference whereby different religious leaders of all communities were present and invited to address the audience. My family and I went there in the month of July (the 11th) 2005. Many of Sai Baba’s devotees all round the world were present at the place of conference. For the understanding of seekers after truth, we are providing below an extract from an Interview Hadhrat Munir Ahmad Azim Sahib (atba) of Mauritius granted to Mubashar Dar Sahib of Ahmadiyya News in 2006 wherein as the Mujaddid of the new Century of Islamic Hijri, he explained his position on Ahmadiyya Khilafat. Ahmadiyya News: What is your opinion towards the Khulafa of the Jama'at Ahmadiyya. Their ability and approach towards achieving the ultimate victory of Islam and Ahmadiyyat as prophesied by the Promised Messiah a.s.? I believe in the Khalifas of Jamaat Ahmadiyya like I said above: Hazrat Moulvi Hakim Nooruddin, Hazrat Mousleh Ma'oud Mirza Bashiruddin Mahmood Ahmad, Hazrat Mirza Nasir Ahmad, and also Hazrat Mirza Tahir Ahmad. Although they were not directly divinely appointed by God Almighty, Allah was their help as long as they were on the right path and preaching the true teachings of Islam. Allah gave them true dreams and revelations to help them in their task, because they were righteous in their devotion to help the cause of Allah Ta'ala and Allah blessed them with great knowledge and Insight. What ails Ahmadiyyat today? Who can explain what is wrong with the Jamaat better than the one who comes in the mantle of a Prophet from Allah, the Most High? What better way is there to explain what is wrong in the Community than by narrating the personal experiences which a man of God has had to undergo at the hands of the Pharaohs of the day? Hadhrat Khalifathullah Munir Ahmad Azim Sahib (atba) of Mauritius has now written profoundly on the circumstances surrounding his expulsion from the Jamaat of the Promised Massih (as) in a new booklet entitled: “A Background Story of the Predominance of Truth over Falsehood”. Hadhrat Munir Ahmad Azim Sahib was expelled from the mainstream Ahmadiyya Jamaat in December 2000. The expulsion order was issued by the Fourth Khalifa Mirza Tahir Ahmad Sahib who simply relied on a report of Mr. Amine Jowahir, the unfortunate Amir of Mauritius. The order (reproduced in page no.43 of the Book) is evidently an absolute act of unbelievable hubris on the part of those who issued it. 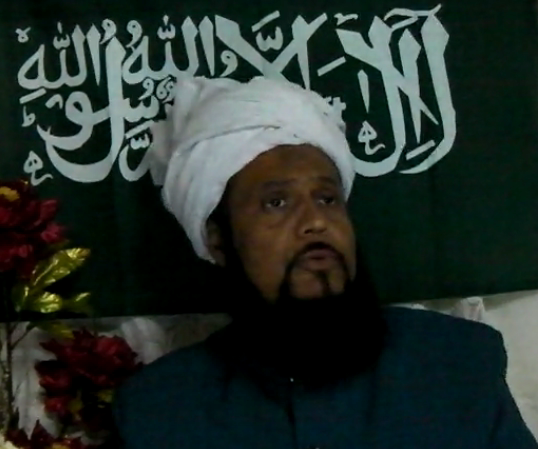 Mr. Amine Jowahir, the man whose report was relied upon by the fourth Khalifa, was recently dismissed from his position by the fifth Khalifa Mirza Masroor Ahmad Sahib on charges of corruption, nepotism and moral irresponsibility after a lengthy enquiry by his special representative who visited Mauritius for the purpose of investigating the glaring charges against him. Think about it. A report filed by a man of questionable integrity was used by the then Khalifa to expel some one who claimed he received revelations from Allah the Most High. Now that his true colours have been revealed, will the Jamaat show the decency to respect principles of natural justice? Even secular courts show minimum respect for evidence and notions of justice by reinvestigating cases where new evidence or suppressed facts are unearthed and become available even if it happens after decades. For instance, in Kerala recently, a criminal case was reinvestigated after 43 years and justice served. Will the Jamaat which swear by spiritual notions of absolute justice, reinvestigate the case and give a fair hearing to the cause of the Khalifathullah? 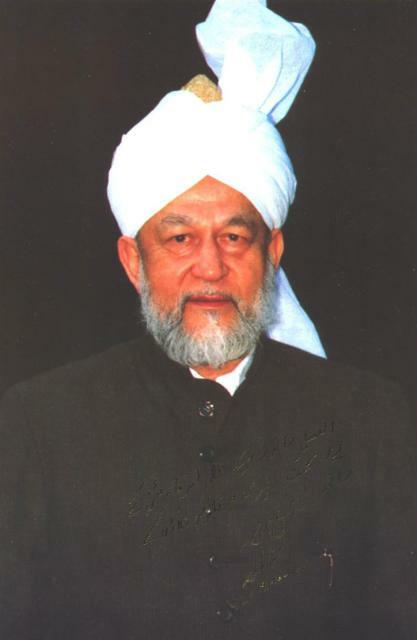 In the first part of the essay, published here on May 05, 2011, we have noted an important statement of the Fourth Khalifa Hadhrat Mirza Tahir Ahmad Sahib on the question of the coming of Mujaddidin in the new century, just as it used to be in all the centuries before in Islam. In our analysis, we have clearly shown how mistaken the Khalifa was in thinking that the Promised Massih Hadhrat Ahmad (as) shared his perspective. 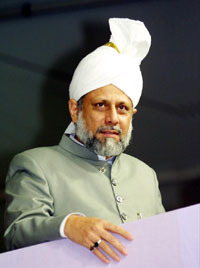 The emphatic statement of the Fourth Khalifa clearly shows that knowingly or unknowingly, there has come to be a radical disconnect between the original teachings of Islam as well as the explanatory commentary of the same by the Promised Massih (as) on the one hand and the current beliefs in the Ahmadiyya Community on the other. For the essay, click here. Both the Promised Massih (as) and Hadhrat Musleh Maoud (ra) have written that the period referred to in the Holy Qur’an is linked to the advent of a Mujaddid. "Since the imamat [i.e. Ahmadiyya Khilafat] is in existence, there is no need for the coming of a Mujaddid. The supporting testimony of God has crushed this evil [fitna] for all time. The imamat shall not end till the Day of Judgment, so there is no need for a Mujaddid till the Day of Judgment. . . . Only those can deny this fact whose hearts are devoid of the fear of God. . . . As God has indeed spoken the truth, and the Founder of the Ahmadiyya Movement has indeed spoken the truth, so those people are false who believe that imamat will now come to an end and now that the new century [Hijra] has started they must wait for a Mujaddid. Thirteen years have already passed since the beginning of the fifteenth century and in this period no Mujaddid has arisen outside the imamat of the Ahmadiyya Movement. This has exposed this false propaganda. Even if God makes them live for a hundred years they will not see another Mujaddid." - Al-Fazl, 30 September 1993. Why the Statement is unfortunate? 2. Because he thought that by saying what he did, he was following in the footsteps of the Promised Massih (as) and defending the larger cause of the Jamaat and Islam for the future. 3. Because the best of intentions may not be sufficient at times- People can be wrong even when they fervently believe something to be true and correct. In articles published here on May 02-03, 2011, we have dismantled Abdul Gaffer Janbah Sahib’s theory that Khalifa Sani met with divine punishment for false claimants of revelation. We concluded that by all rational considerations, the case of Khalifa Sani cannot be included in that category. The analysis clearly showed that Janbah Sahib has failed to understand the real importance and objective of the Qur’anic verses on divine punishment for fake claimants in spite of claiming to be the Imam of the Age. In his Friday sermon of March 25, 2011, Hadhrat Khalifathullah Munir Ahmad Azim Sahib once again explained the fallacies in the argument of Janbah Sahib and his disciple Mansoor Ahmad Sahib who wrote the essay "Lion of God". Hadhrat Khalifathullah then publicly challenged Abdul Ghaffer Janbah Sahib who claims to be the Mujaddid of the Age to show the courage of conviction and come out in the open and enter “the battlefield” and categorically stated that “we shall see whom Allah shall support and help”. 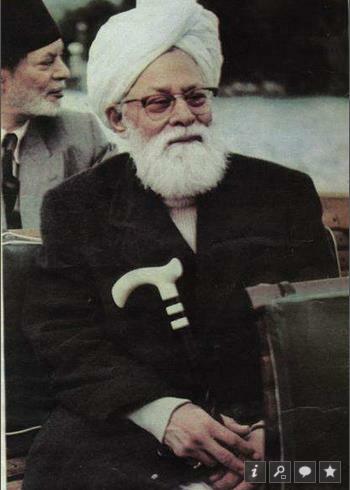 On 10th March 1954, Hadhrat Khalifa Sani Mirza Bashir-ud-Din Mahmud Ahmad (ra) met with a serious attack on his life. According to Abdul Ghaffar Janbah Sahib of Germany who claims to be the Mujaddid of the new Century and the real (one and only) ‘Musleh Maoud’ as per the prophecy on ‘Zaki Ghulam’, the life-altering severe attack on the second caliph confirms that he was a fake claimant to the position, based on Qur'anic prophecies on the Divine treatment of false claimants. Based on this ‘insight’ on the Holy Qur’an, ‘the Imam of the Age’ has come up with a theory on the divine punishment to false claimants. In this article, we shall surgically examine the implications of his theory and the consequences of its application in the case of Khalifa Sani. a) “The cut off of life-artery of a false claimant of recipient of divine revelation is the clear proof of his being the liar”. Abdul Ghaffar Janbah Sahib of Germany claims to be the Mujaddid of the Fifteenth Century of Islamic Calendar. Yet, his claim to the august office is dripping with the blood of a holy man of God: His grand theory of Zaki Ghulam is built upon cutting the jugular vein of Hadhrat Mirza Basheer-ud-Din Mahmud Ahmad (ra), second Khalifa in the Ahmadiyya Community who once claimed he was elevated to the position of ‘Musleh Maoud’ by Allah, the Most High based on His commitment/glad tidings vouchsafed to his illustrious biological (and spiritual) father, the Promised Massih Hadhrat Mirza Ghulam Ahmad (as) of Qadian. According to Janbah Sahib, the second caliph was not a 'Zaki Ghulam' (pure son) or the 'Musleh Maoud' (Promised Reformer) as foretold in the revelations vouchsafed to the Massih Maoud (as). He was, in the viewpoint of Janbah Sahib, a fake claimant. Janbah Saheb theorizes that for making the 'false' claim of being a fulfillment of Divine prophecies, the second caliph of the Jamaat-e-Ahmadiyya (Qadian) was punished by God Almighty. In support of his claim, the Janbah Sahib points to his own claim of being the real "Musleh Moaud". His apparent evidence is the incident of a life-altering, stab attack on the second caliph in 1954, by an impressinable youth who was brainwashed by the scheming Mullahs of Pakistan that committing of murder (assassination of the second caliph) is the way to Heaven. That the second caliph had to deal with the aftermath of a violent attack on his life is a fact of history. The grievous injury on his neck was of such a nature that survival from it was almost impossible; a miracle as stunning as the deliverance from the Cross of the man of God, the escape of the Messaih Jesus (as). Janbah sahib points out that after making the claim of being the ‘Musleh Maoud’, the second caliph eventually died within a period of 23 years. He argues by linking these two factors to establish / prove that the second caliph met with an accursed death of a false claimant of Divine revelations. Janbah Sahib further links the truthfulness of the claim of Hadhrat Munir Ahmad Azim Sahib (atba) of Mauritius as the Muhyi-ud-Din/ Khalifatullah/Messenger of Allah of this age, is inextricably intertwine with the truthfulness of the second caliph (ra). Janbah Sahib has however, then, sought to create a barrier between them by accusing the Khalifa Sani of having met with an accursed death. 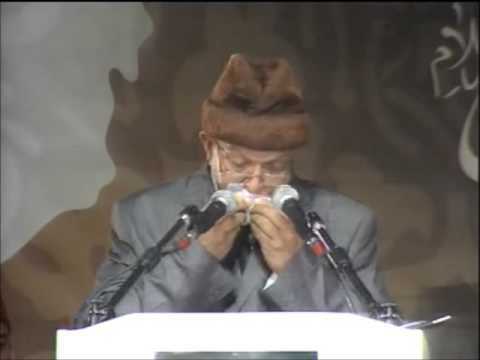 The hollowness of the basic claim of Abdul Ghaffar Janbah Sahib was exposed by Hadhrat Munir Ahmad Azim Sahib (atba) of Mauritius, in his Friday Sermon of January 21, 2011. In response to a question by Shabeeb Haneef Sahib of Kerala in this regard, Mansoor Ahmad Sahib of the Jamaat-e-Ahmadiyya Islah Pasand/ the party of Janbah sahib, has once again presented this satanic theory and the same was published online at their website recently with the title: “Lion of God”. [This is the third and final part of the series of articles answering the questions raised by Mr. Shoukath Ali, coordinator (Asia-Pacific) of the Ahmadiyya Movement (Lahori Sect), Fiji Islands about the Mujaddid claims of Khalifatullah Hadhrat Munir Ahmad Azim Sahib and the Kerala Ahmadis who recognized and accepted the Imam of the Age. This part reflects on the question why Ahmadis in Kerala accepted the new Massih. The first and second parts of the series were published here on April 29-30, 2011]. 7. Did they (Kerala Ahmadis) accept him because they have seen and believe in some special phenomena or is it only because they have been expelled similar to the "Mujaddid" and his followers in ? At the moment, only 2 of the members belong to the expelled section. The rest belong to the category of common Ahmadis who are convinced that they have found the Sign of a living Islam through the appearance of a Mujaddid in the new Century. “The chief men of his people who were arrogant said to those who were reckoned weak-those among them who believed- Do you know for certain that Salih is one sent by his Lord?’ They answered, ‘Surely, we believe in that with which he has been sent’” (7:76). “And when they hear what has been revealed to this Messenger, you see their eyes overflow with tears, because of the truth which they have recognized. They say, “Our Lord, we believe, so write us down among the witnesses; And why should we not believe in Allah and in the truth which has come to us, while we earnestly wish that our Lord should include us among the righteous people?” (5:84-85).